They hail from Tapiridae family. They weigh about 300 grams. Often people mistake him for being someone like a Pig or an Anteater. For many years Tapirs have been a separate species. 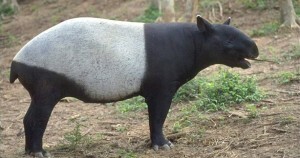 Malayan Tapir is a nocturnal. Lifespan is about 30 years. 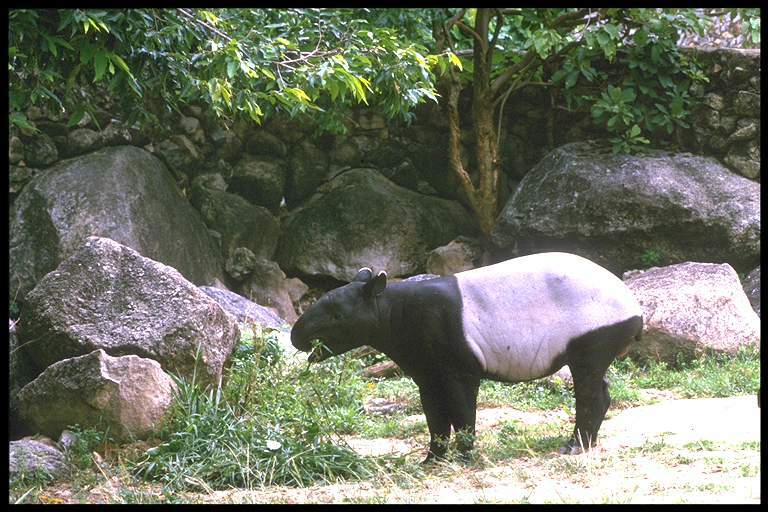 Malayan Tapir is one of the species that are threatened due to massive loss of habitat. Tapirs are gifted simmer and climber. They move on the trees in lightning speeds and swims easily across waters. Malayan Tapirs are one of the primitive mammals, which are reducing because of habitat loss. As per IUCN statics, they are endangered and population is constantly reducing. Distribution: Southeast Asia, Thailand, Burma, Cambodia, Vietnam, Laos, and Nicobar-Sumatra Island. Diet: Grass, aquatic plants, leaves, buds. These Tapir feed in the disturbed forest. Habitat: Lowland, Bushes, swamp (wetland), Montane i.e. areas of the higher land and dense rainforests. Wouldn’t you want to be where you get lots of opportunities to watch some of the best varieties of Malayan Tapirs? Khao Kheow Open Zoo welcomes all wildlife enthusiasts to this enthralling journey to the jungle. Best zoo in Bangkok is getting interesting day-by-day, offerings splendid experience for all age group, blending fun, adventure with exciting surprises.